Cheryl Rose Tobey is a senior mathematics associate at Education Development Center (EDC) in Massachusetts. She is the project director for Formative Assessment in the Mathematics Classroom: Engaging Teachers and Students (FACETS) and a mathematics specialist for Differentiated Professional Development: Building Mathematics Knowledge for Teaching Struggling Students (DPD); both projects are funded by the National Science Foundation (NSF). She also serves as a director of development for an Institute for Educational Science (IES) project, Eliciting Mathematics Misconceptions (EM2). 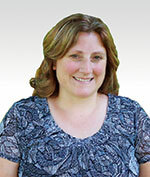 Her work is primarily in the areas of formative assessment and professional development. Prior to joining EDC, Tobey was the senior program director for mathematics at the Maine Mathematics and Science Alliance (MMSA), where she served as the co–principal investigator of the mathematics section of the NSF-funded Curriculum Topic Study, and principal investigator and project director of two Title IIa state Mathematics and Science Partnership projects. Prior to working on these projects, Tobey was the co–principal investigator and project director for MMSA’s NSF-funded Local Systemic Change Initiative, Broadening Educational Access to Mathematics in Maine (BEAMM), and she was a fellow in Cohort 4 of the National Academy for Science and Mathematics Education Leadership. She is the coauthor of six published Corwin books, including seven books in the Uncovering Student Thinking series (2007, 2009, 2011, 2013, 2014), two Mathematics Curriculum Topic Study resources (2006, 2012), and Mathematics Formative Assessment: 75 Practical Strategies for Linking Assessment, Instruction and Learning (2011). Before joining MMSA in 2001 to begin working with teachers, Tobey was a high school and middle school mathematics educator for ten years. She received her BS in secondary mathematics education from the University of Maine at Farmington and her MEd from City University in Seattle. She currently lives in Maine with her husband and blended family of five children.